Powder color coating is a more modern, innovative way to paint and mix several colors together in order to create a thick, opaque finish on products. In most cases, this process has proven to last longer than the usual way of painting with liquid colors. In addition to this ground-breaking new way of adding color to a product is the fact that powder color coating only requires one coat, which makes the step-by-step procedure a lot easier and less time consuming, which is a win-win for the client and for the company. The finish alone is very durable and can withstand any kind of weather, especially in Orlando, Florida. Unlike many paints today, powder coating cannot be added to when compared to liquid paints that can be. However, color matching services are available. If you’re wondering if there is powder coating services near you, you are in luck! Sundance Architectural Products, LLC offers a unique and quick way to apply powder color coating to any structural piece, especially metal products. Although this style of coating is simple and fast, the color will last ten to fifteen years! Ultimately, if you select powder coating, you are choosing the finish that is dependable and reliable. You can bet that this beautiful result will remain beautiful for years to come. Do you already have a product that is painted? Fortunately, powder coating can be applied over existing paint, but the finished product may or may not turn out the way you intended it to look. This could be a result of multiple contributing factors in regards to the wear and age of the previous coat of paint that was previously applied, despite however long ago. It is recommended that old paint is removed before proceeding to begin the powder coating process. Another added bonus is that this particular process is environmentally friendly – another win-win. 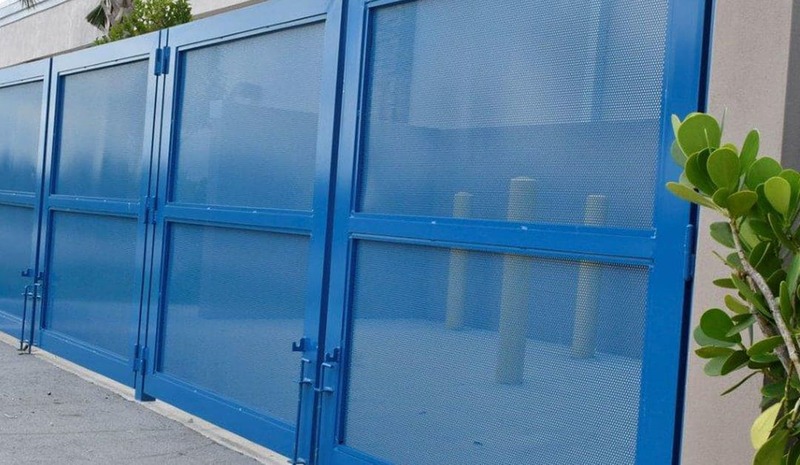 When you contact Sundance Architectural Products, LLC, located in Orlando, Florida, you will understand why powder color coating has become so popular over the past few years. For one, powder coating is used primarily because it is not prone to crack and splinter like other liquid paints tend to do regardless of the reason. Its is also resistant to any abrasions, rusting, peelings, and any other form of damage that may occur. What most valued customers tend to like the most is the way powder coating is able to produce color that maintains gloss, vibrancy, and can withstand the sun’s powerful rays year after year. Over time, you will not see a dullness that most often see with normal paints that applied wet and take hours – sometimes days – to dry. Interest in other architectural services? Sundance offers a wide selection of jobs and installations you need in order to create, maintain, or meet your structural needs. Contact us today!